ALL 803 thru 1275 A Series engines. Kit includes alloy rocker cover with breather, cover gasket, chrome retaining nuts, chrome oil cap.
.*NOTE: This cover breather vent, and vented cap is not suited for the 1975-1980 vehicles with US spec. emissions equipment. The alloy cover will not fit Triumph Spitfire from 1977-'80 with an E.G.R. valve, as the vent tube is not angled to clear the E.G.R. valve. Either the valve location or the cover will have to be modified for use with these vehicles. However warranty is void if cover is modified, please do so at your own risk. Elbow or water outlet for the vertical radiator cars. 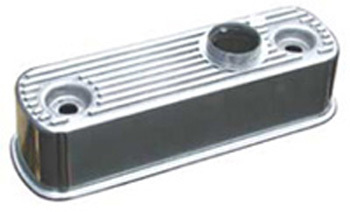 This fits the 948cc-1098cc cylinder heads. 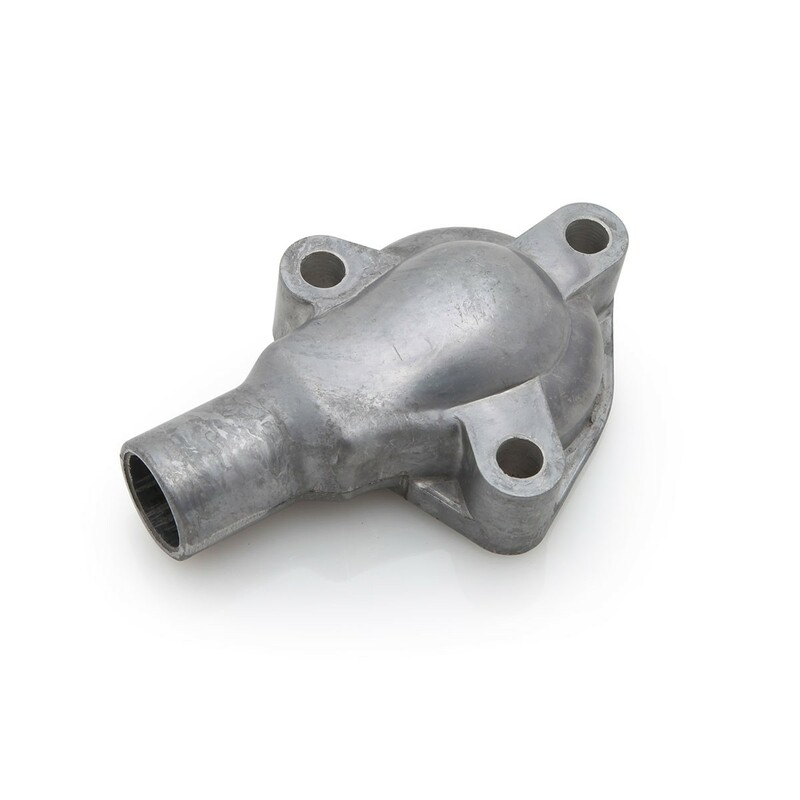 Originally designed for the 1098 cc engine this is a great alternative to the flat top 948cc elbow that requires a special thermostat. Can be used on the 1275cc head but the outlet angle will be sightly off. High quality casting. This outlet will fit the modern thermostats.